Officials are concerned about fighting the disease. camera (Getty Images/iStockphoto) Larva of Aedes Aegypti mosquito that can spread yellow fever virus. A year after the Zika outbreak hit the U.S., health officials are now concerned about preparing to fight another mosquito-borne illness: yellow fever. Today officials at the U.S. Centers for Disease Control and Prevention reported that they are taking urgent measures to keep the nation’s supply of yellow fever vaccine from being depleted within a few months. Only one vaccine called YF-VAX is licensed for use in the U.S. and the CDC reported today the vaccine is expected to run out by the middle of this year due to manufacturing problems with the supplier. Health officials are now working with the supplier Sanofi Pasteur and the FDA to make another yellow fever vaccine available. This vaccine called Stamaril is approved for use in 70 countries but not the U.S. It manufactured by Sanofi Pasteur France will be available at 252 sites in the U.S. This is a vast reduction from the estimated 4,000 sites that normally provide the yellow fever vaccine. In a statement Sanofi said they had a manufacturing issue after preparing to move to a new manufacturing facility in 2018. While they implemented restriction in 2016 so help stretch supply, they said they anticipate YF-VAX will be unavailable from the middle of 2017 through the middle of 2018. "Bringing answers to the global threat posed by yellow fever is a key commitment for Sanofi Pasteur. Sanofi Pasteur recognizes the challenge this supply disruption will cause for customers and for patients in need of yellow fever vaccine. We are making every effort to see that yellow fever vaccination continues in the U.S. during this YF-VAX vaccine supply disruption." Getting travelers to get immunized for protection remains a struggle. Every year approximately 500,000 vaccinations for yellow fever are given to travelers or the military, who are going to areas where the virus is endemic. However, an estimated 8 million U.S. residents traveled to 42 countries with endemic yellow fever virus transmission in 2015, according to the CDC. The vaccine shortage comes as multiple yellow fever outbreaks have spread in different areas of the globe. In Brazil an outbreak erupted in December 2016, with 681 confirmed cases and 234 confirmed deaths as of April 20 2017, according to the Pan American Health Organization (PAHO). Over 800 cases remain under investigation. In 2015 an outbreak that started in Angola spread to other countries and caused 965 cases from 2015 to 2017, according to the CDC. The disease generally causes flu-like illness with high fevers. Most patients recover after this stage, but about one in five go on to have the most severe form of the fever, known as the “intoxication." It’s marked by bleeding, severe liver dysfunction, kidney failure, and jaundice-- hence the moniker “yellow” fever. The disease is often spread by the Aedes aegypti mosquito, the same insect that is the primary cause of the Zika virus infection. Earlier this month Dr. Anthony Fauci, Director of the National Institute of Allergy and Infectious Diseases, co-wrote an editorial in the New England Journal of Medicine to warn of the potential spread of the yellow fever virus. 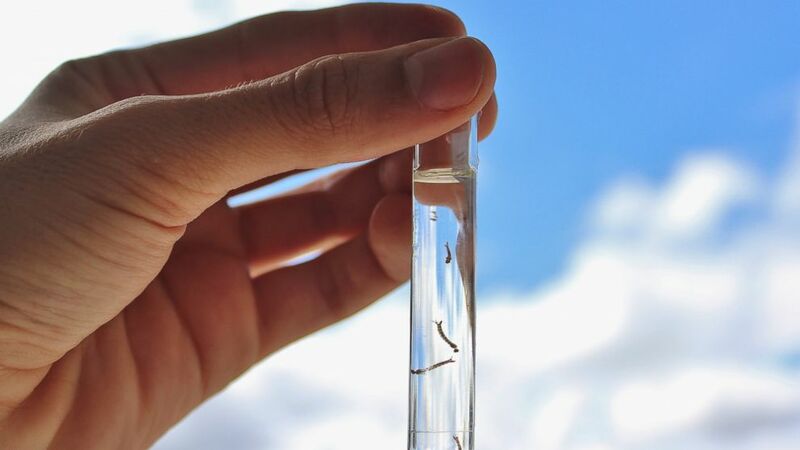 “It is also conceivable that yellow fever outbreaks may occur in the U.S. territories, just as the recent Zika epidemic reached Puerto Rico, causing a significant outbreak there and leading to thousands of travel-related cases,” Fauci wrote with his co-author. While it is unlikely for yellow fever to sweep through the U.S., due in part to fewer mosquitoes, there is still a risk that unimmunized travellers could import the disease when they return from endemic regions. “In an era of frequent international travel, any marked increase in domestic cases in Brazil raises the possibility of travel-related cases and local transmission in regions where yellow fever is not endemic,” wrote Fauci and his co-author wrote.